Requirements: must have attended at least 3 months of Tai Chi classes to participate in this workshop. 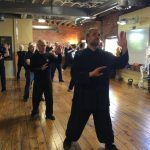 If you are in the Tai Chi Association Certification Program this workshop is required to Level up, and is the basis of your Level 5 Certification. The Tai Chi Ball 19 Movement Form. Solo & 2 person exercises. Instructor: Sifu Michael Paler, 7th Generation Lineage Holder Imperial Yang Family Tai Chi. Sifu Michael Paler has over 32 years experience in Chinese Martial Arts with a focus on Tai Chi and various Qigongs. 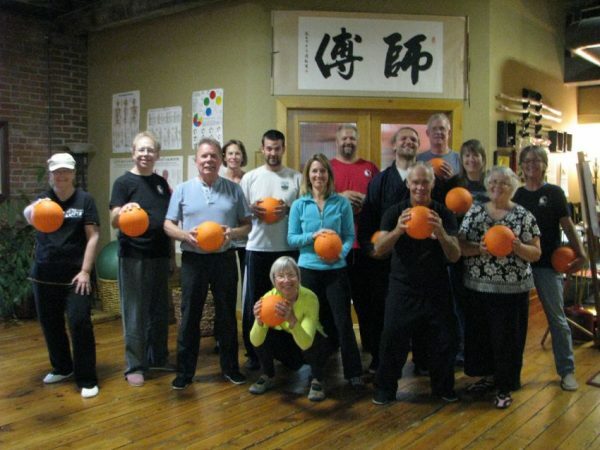 Tai Chi Ball – taught by Sifu Michael Paler – Learn the Yang Style Tai Chi Ball Form. This form is based off of the 24 and 108 forms. It assists in many of Tai Chi’s energetic and self defense aspects such as neutralizing force, energy absorption and projection as well as exercises which promote blood and qi circulation for relaxation and health. The practice of this form is beneficial for Intermediate and Advanced level energetic (Qigong) and self defense.